Everybody is trying to plan a wedding to the last detail,to the celebration went without a hitch, without a hitch. One of the most labor-intensive stages of the celebration is the wedding banquet. 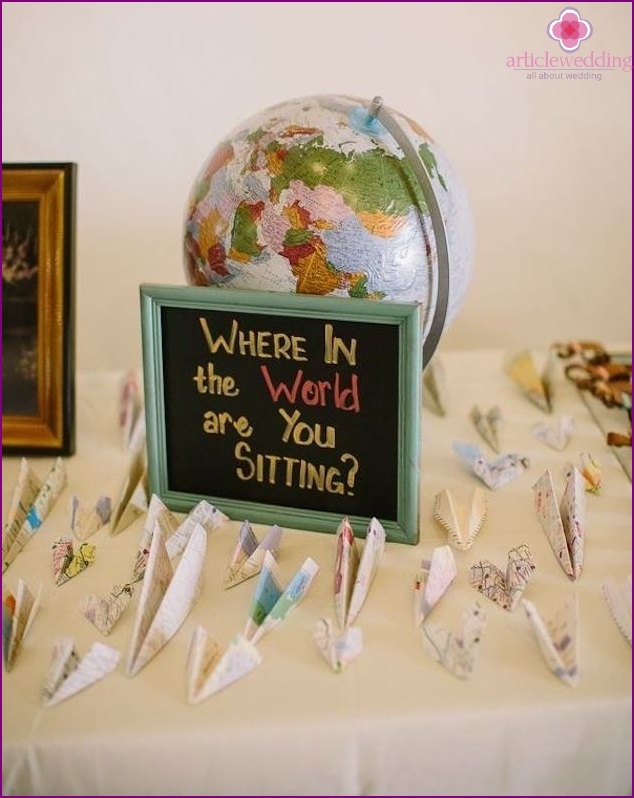 To learn how to successfully sit the guests in the room, we were told at the wedding www.articlewedding.com portal. A good move that will help to avoid confusion and to keep out all the work for nothing, is a manufacturer of wedding banquet cards. Thanks to them, the guests are not only easy to find their places in the hall, but also appreciate your taste and foresight. 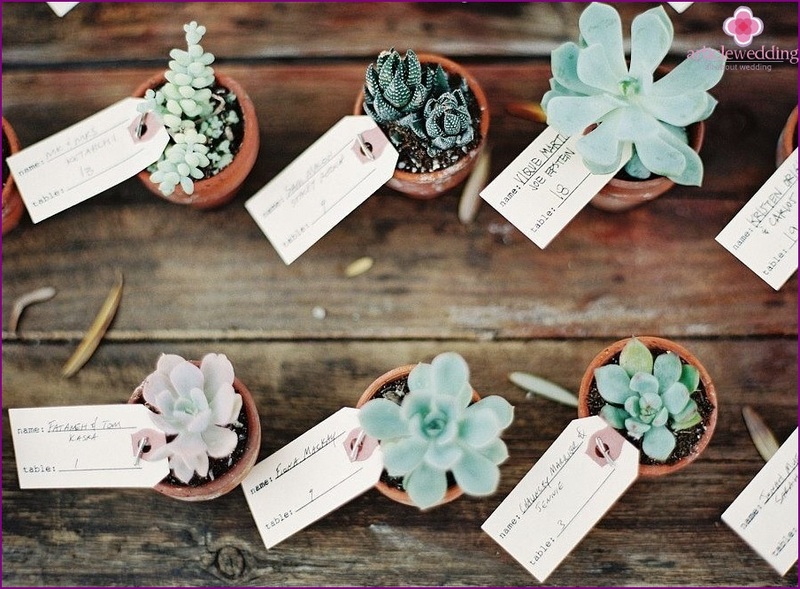 Banquet cards are sometimes referred to as a nurseryor guest, and due to the nature of identity - the wedding. These are small items (postcards, small pieces of paper, flowers, fruits, etc. 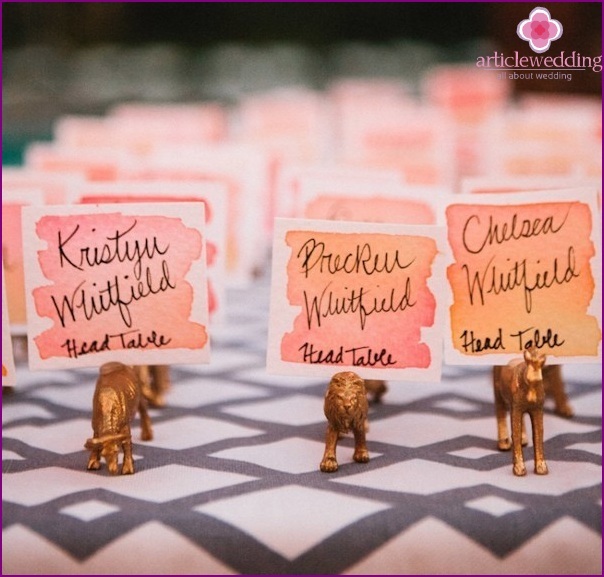 ), which denote the place banquet guest, and thus, lead to the seating arrangement offers a more organized and convenient. On the cards is usually written name guest. 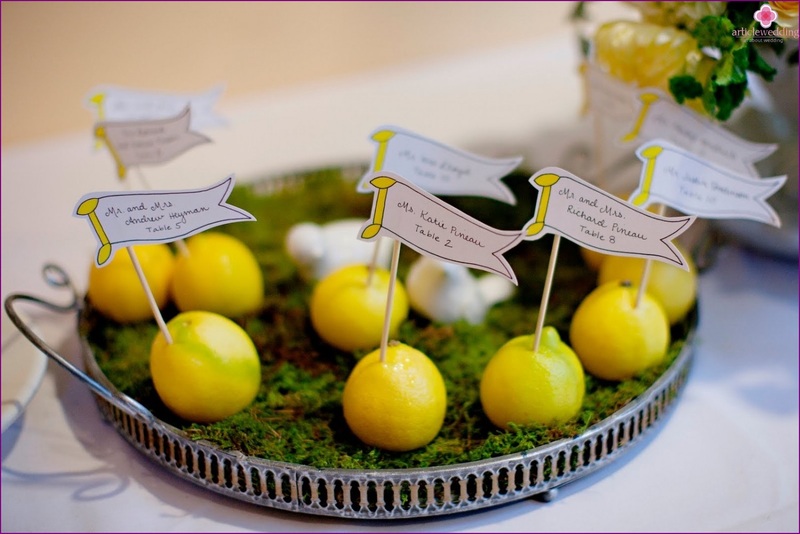 Banquet cards will serve as a wonderful decoration element. They gracefully complement the design you selected celebrations and become an indispensable component of the style. Be creative. Think original. 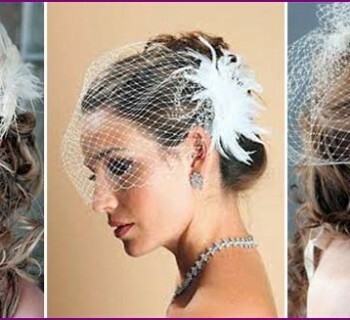 Think of what an object or image will accentuate the wedding theme. 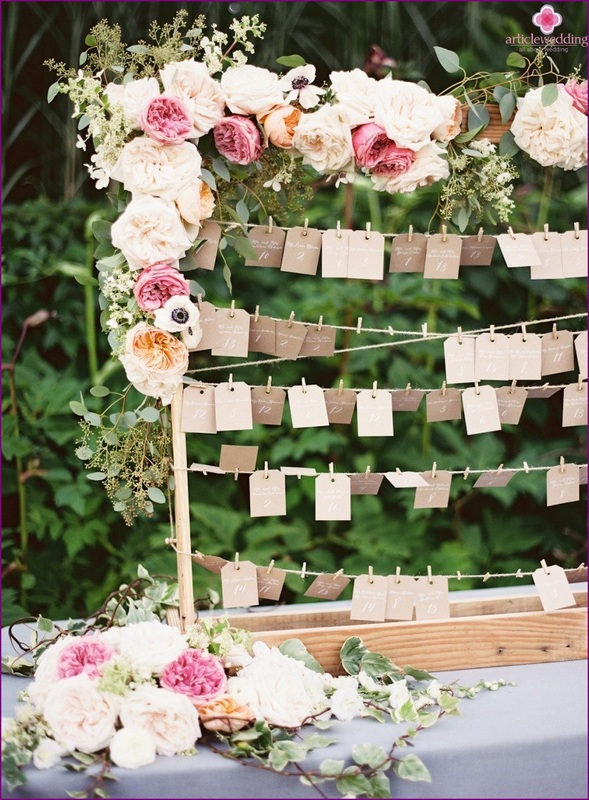 If you are celebrating a wedding outdoors, use cards as natural materials: linen, wool, flowers, leaves, tree bark, etc. You can also make a butterfly cards or, for example, a protein. 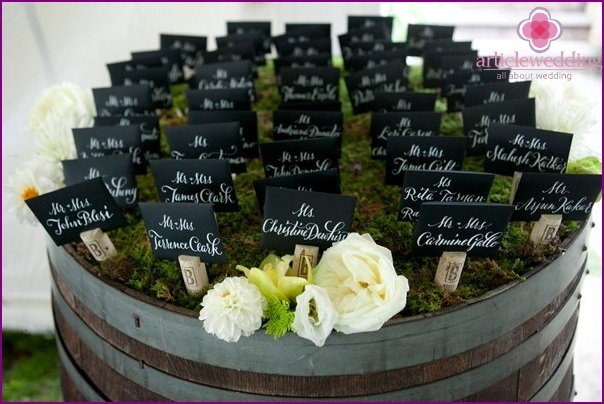 If you simply organize an elegant and beautifulwedding to your taste, you can choose the banquet cards minimalist, simple, elegant, graceful strokes on which are written the names of the guests. Make them more original unique stands help in the form of cones, tubes, etc. 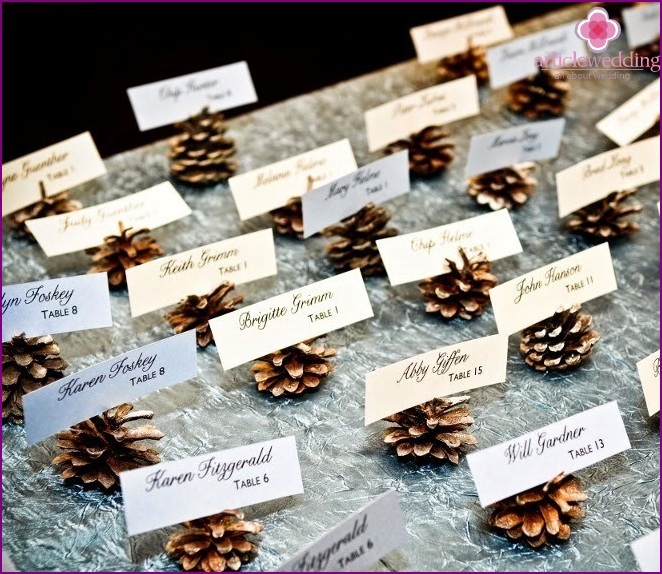 Banquet cards: buy or make your own hands? The easiest way - to choose cute cards in their respective stores. This is the most economical option. On the other hand, there is no guarantee that you will be able to find exactly what you need. Today, many addicted to products hand-made. Many masters happy to fulfill your order and manufacture banquet cards in the style in which you like. You can even make sketches of the future of cards and pick up materials on their own. You can also entrust the professional designer making a card. The costs, of course, will grow, but the result will please. And the last, the most creative way. 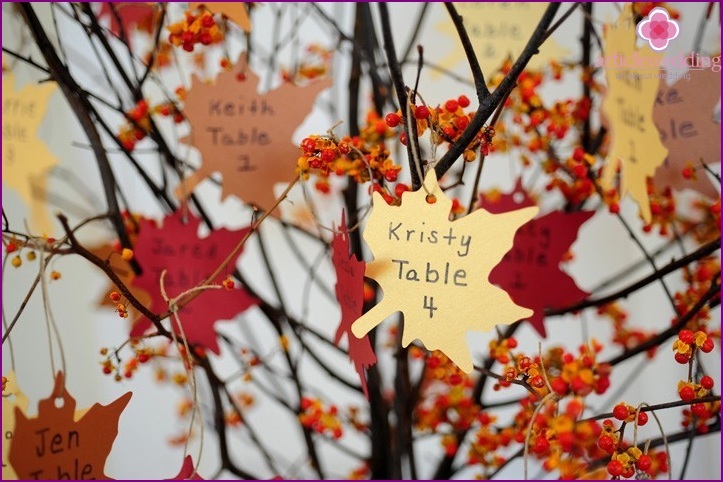 Make banquet cards for yourself! This is a great pastime for you and your chosen one. You Bring together beautiful things for such an important event in life. If you do moonlighting as a master hand-made products or designer, the original and aesthetic guest card will serve as your calling card, especially if you are invited to a celebration dignitaries or colleagues. In any case, the creative approach - a guarantee that the card will fit your taste. How to arrange the cards? 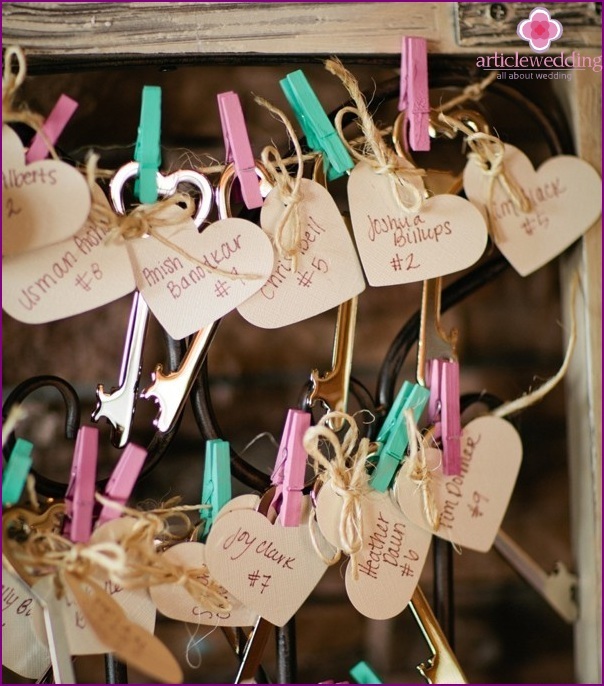 You can put some cards banquetfor a guest or group invited in some respects (spouse, family, people, sitting at a table, etc.). 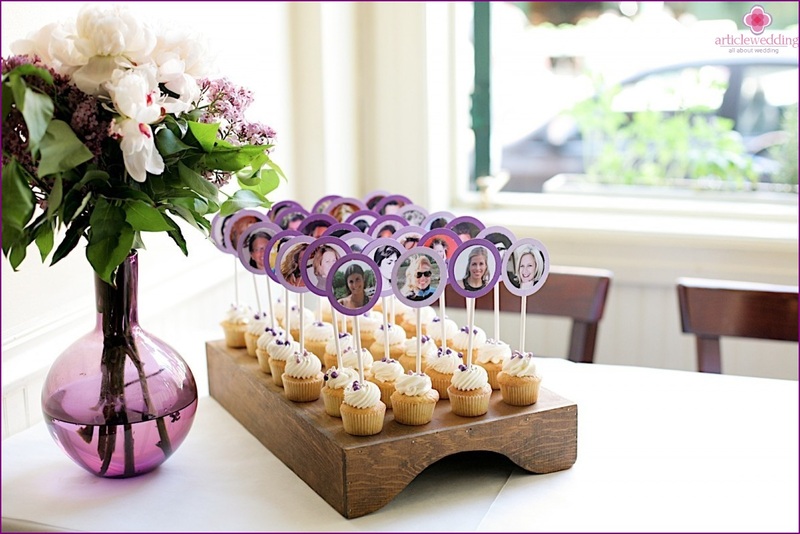 For example, guest cards can be placed both on the plate and in front of it, attach to glass or cloth. Specially made cards of the original materials can be placed next to the glass, for example. 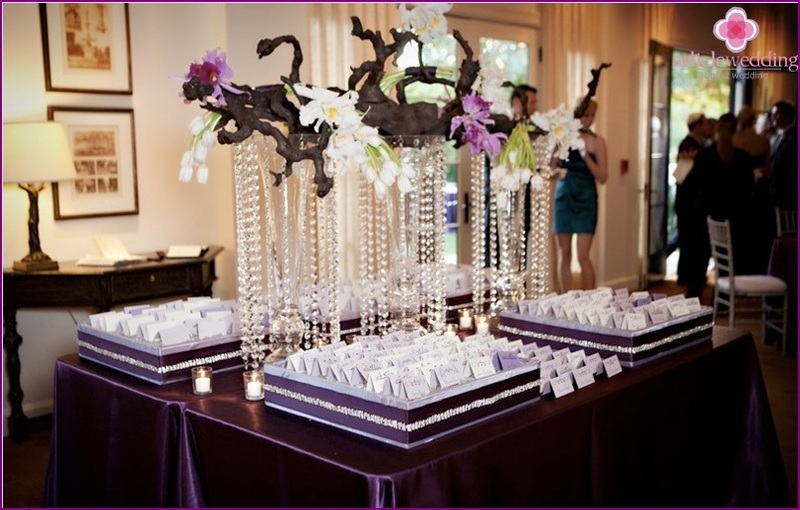 Another option - to prepare for the banquet card special place, designed in line with the style of the wedding. Wedding cards will not only seatedguests or banquet decor. 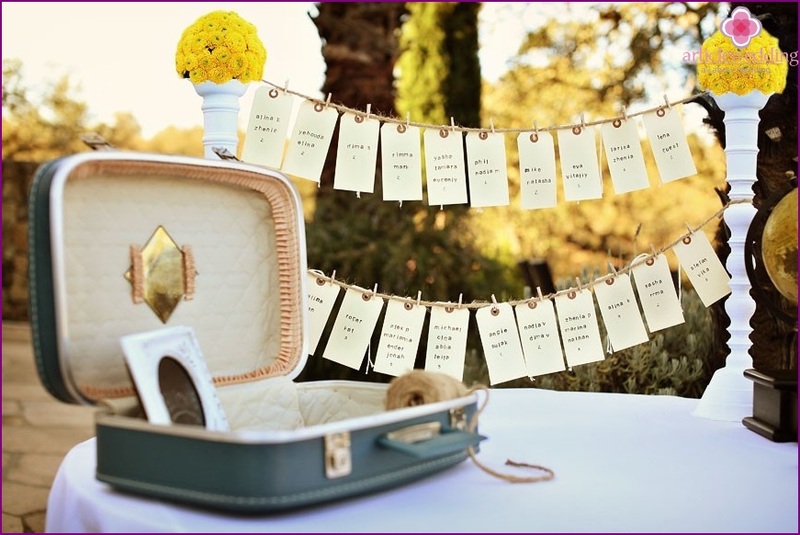 Through cards, guests can get to know each other. Wedding portal www.articlewedding.com advises personalize cards. Add to them the guest photos, describe it (profession, degree of kinship, interesting facts, for example, that he has a hamster, etc.). In the future, this information will help to establish a dialogue. 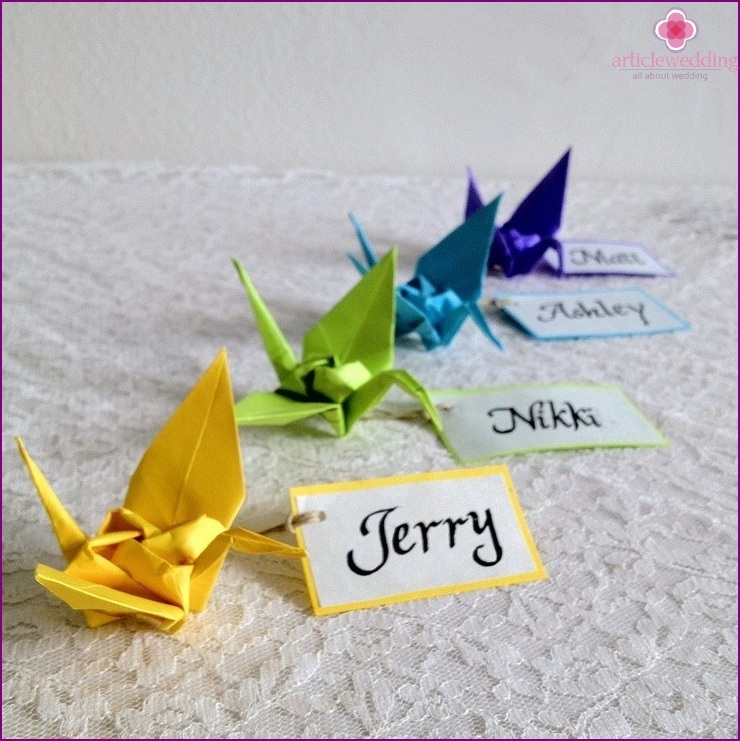 Sign the card close people not official names and aliases that you use in personal communication, or tender names (such as "favorite sister"). 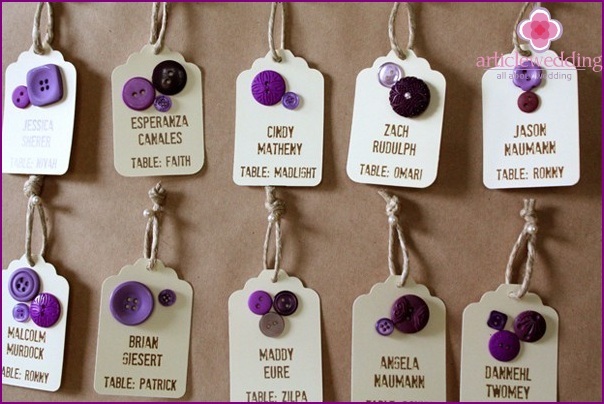 Another option - to distinguish card guests from the bride and groom, for example, a different color or shape. 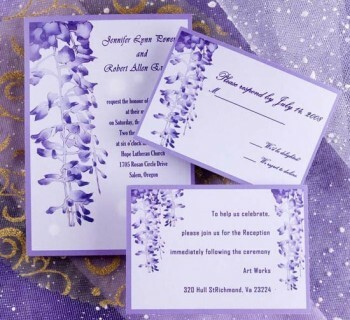 Elegant and thoughtful wedding banquetCards will add elegance to your celebration. 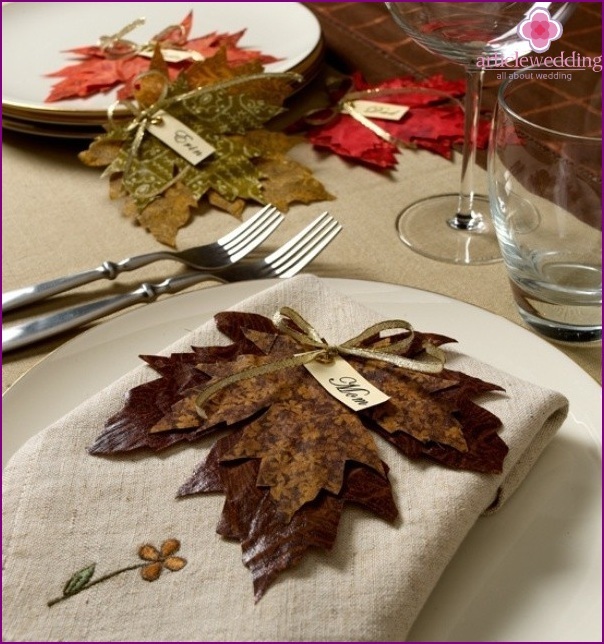 They will also help with the seated guests during a dinner party. And most importantly - banquet card prompt guests how much you think of them and are concerned about their comfort and mood. Everyone will feel needed and important. 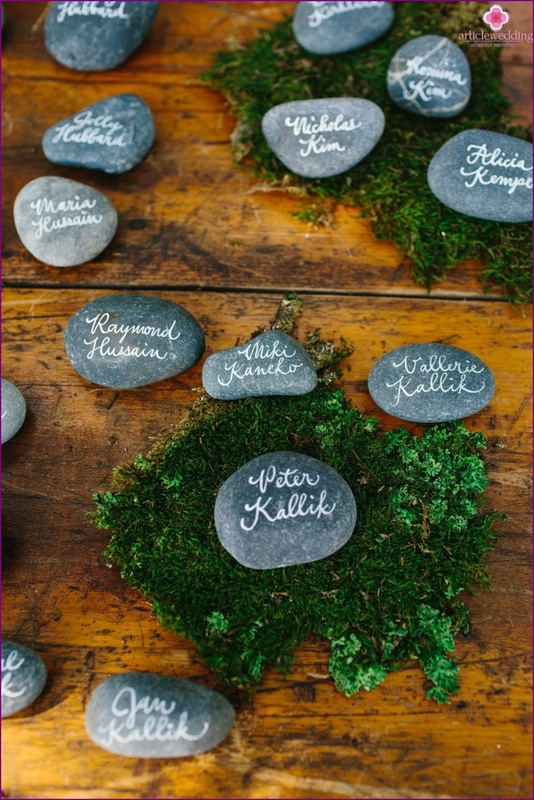 Your guests will be thankful that they are remembered and cared for. 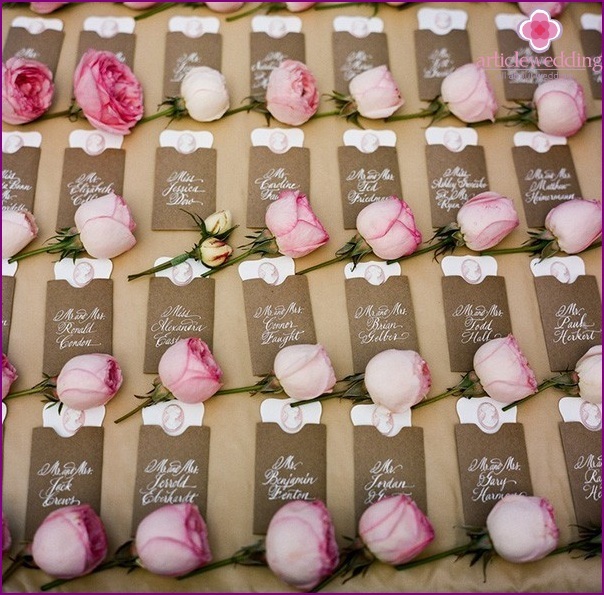 Aesthetic wedding cards will become souvenirs that the guests are happy to take away, as the memory of well-organized and beautiful celebration. The final chord of the wedding: how to end a celebration?